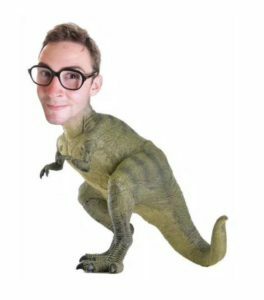 Are you a SPECASAURUS? And what does that mean? Noun. 1. A person who wears glasses, which are considered to be a dinosaur’s method of eye correction. 2. Has not had LASIK at Shah Eye Center. 3. A person who still wears glasses and is a candidate for LASIK. They say: “Great”, and take your name and schedule your free Lasik evaluation. Then, during your free Lasik evaluation at Shah Eye Center, a doctor, and only a doctor, will determine if you are a candidate for LASIK. The big day arrives and you have the LASIK procedure. You are one happy former Specasaurus and BTW you can finally wear really cool sunglasses. Game on.